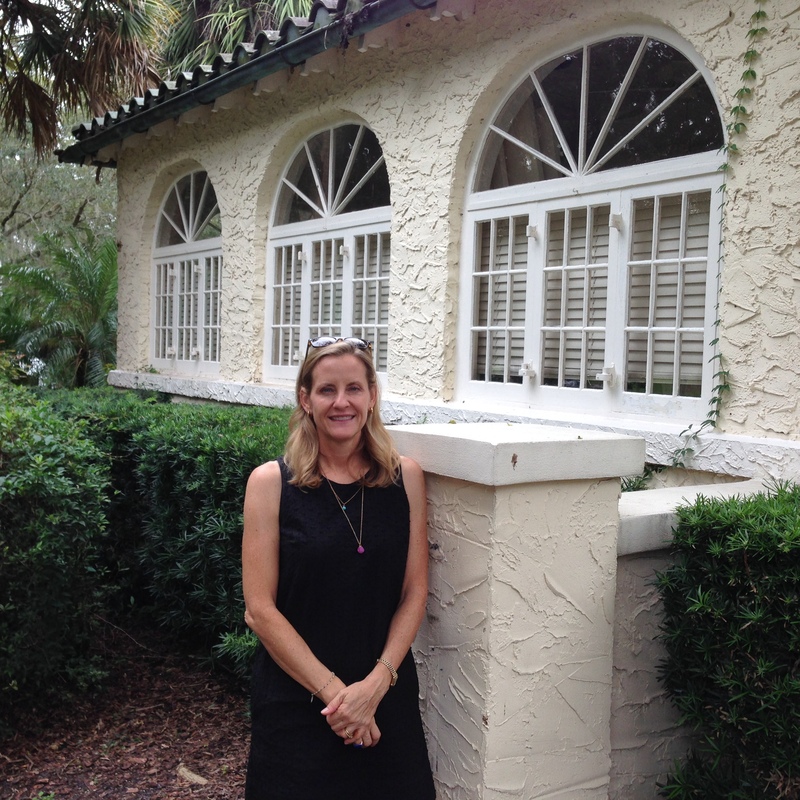 This is the third installment in our three-part series profiling residents of Winter Park Historic Districts. Opponents of a strenghtened preservation ordinance have kicked into high gear to try to convince residents that if they find themselves in a historic district, they will be subject to an arbitrary review board that will severely limit what they can and cannot do. A resident of the College Quarter since 1993, Pam Coutant isn’t buying it. Pam Coutant may have been born 75 years too late. She has the style and energy of a marathon-running supermom, but the gentility and wisdom that conjures my grove-walking southern grandmother—a steel magnolia with a goodly dash of Yankee pragmatism thrown in. Talking to her you get the sense of someone from a different time, when people were more sensible and lacked pretense. She’s a Winter Parker by choice, and is very clear about why she loves it here. Pam and her engineer husband Steve have been temporarily displaced from their College Quarter home, which is undergoing a major remodeling project. 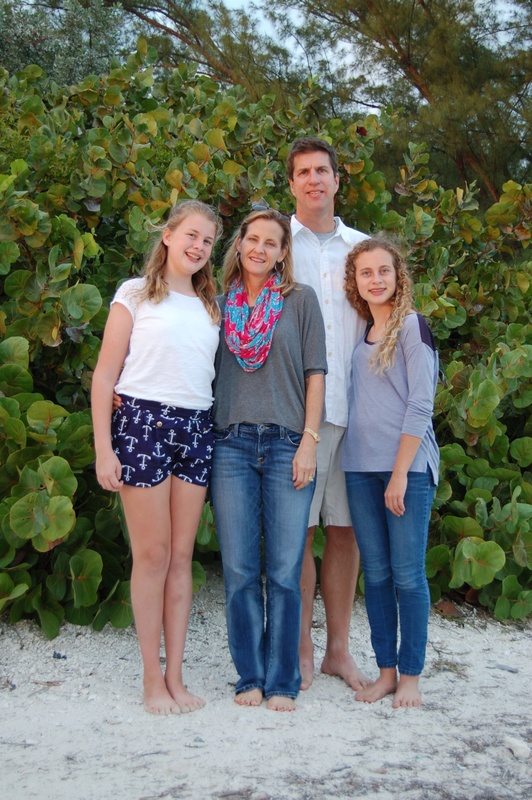 She teaches at the Methodist Preschool a few blocks from her home, while deftly managing the activities of two busy daughters, Lucia (14) and Sophie (12). 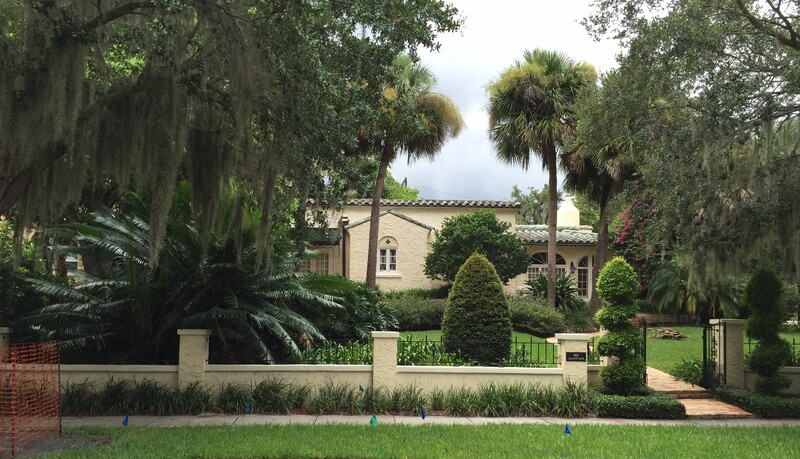 Preservation Winter Park: You grew up in Windermere, attended boarding school in the Northeast, and then returned to go to Rollins, and have been in Winter Park since. What is it that has enticed you to stay in Winter Park? Sadly, it feels like much of what I love about Winter Park is in peril. I like the village scale. I liked the scale and understatedness of the homes. I just love cottagey, older homes—some of them are quirky how they’re set on the land, or embraced by the landscape. I love the downtown, and the culture, and have since I went to Rollins. When I was a student at Rollins, I would sometimes just get in my car, drive around and look at the houses. I loved the whole area. Most people don’t come to that appreciation for architecture until they’re a little bit older, but you were just a college student. I think going to school in New England, I was just intrigued by the older buildings. I loved the stone row houses, the richness and character and history. Who lived there? What was life like when they had staff who lived on the top floor? I loved to romanticize. Are there any other neighborhoods or areas of Central Florida where you would consider living? No. I mean, sometimes the hustle-bustle is a little much for me here. I liked how Windermere, when I was growing up, was such a sleepy, small Florida town, but it’s not really like that anymore. I love Mount Dora, but it doesn’t have the same amenities we have here. Do you think it’s possible to preserve an idealized, small-town way of life, or do you think it’s just inevitable that if an area is nice, it’s going to grow and change? That’s a tough question. I think when you have a nice place, people want to come. But sometimes they don’t realize what it is that attracts them to the place, and they begin to make changes that detract. I think preservation is possible, given the right leadership, but I’m afraid we’re past that point in Winter Park, and we’re backpeddling. Tell me about your house. What particularly attracted you to it? I was at Rollins at the time. I loved the arched windows and the green roof, and the Mediterranean look. We bought it in 1993. It was started in 1925 and finished in 1926. Not much has been done to it since then, except for the addition of air conditioning and enclosing the porch. The records of the house were in the basement of City Hall, which flooded, so a lot of our information is hearsay and what we can dig up. Our house and the one immediately south were built at the same time by the Rollins family (no relation to the college). Our house was built as a wedding gift for the daughter. A Dean Enyart from Rollins College later lived in the house. I believe Rollins actually owned the houses for a while. I was on the committee that helped form the design guidelines for the College Quarter. Going through that process, I’d call our house a mission revival, but it’s not super typical of any one style. The cool thing about it is that it has an interior courtyard, which is typical of mission. It’s very open inside. The living room and dining room are very open, and have long views. It’s a very small house for a family of 4. It’s only about 2000 square feet. How big will the house be when you’re done? It’ll be about 3100 square feet. We’re basically just pushing out the exterior walls of the house. But because they’re on different sides of the house, it’s a bigger job than you would think. We’re reconfiguring inside. I’m sure it would have been easier to knock it down and start over. You’re going to heroic lengths to save the house but to make it suitable for your family. Yes. But the good thing is that our architect, Randall Slocum, loves the house and agreed with our vision of adding to the house without compromising its integrity. People encouraged us to fill in the courtyard, or to go up a story, but we wanted to stay true to the Mission Revival style of the house. So we knew we had the right architect. How has your interaction been with the historic preservation board, in getting approval for the changes you’re making? It’s been a non-issue. You hear people moaning, “Oh you have to go through the historic preservation people…good luck with that!” but it’s been so easy. What we’re doing is sensitively planned. And here’s the big thing. We’re moving the front façade of the house. But we’re reconstructing it exactly how it looks, 8 feet closer to the road. We assured them that we’re going to have the same stucco, keep the green tile roof, the same style of windows, and they said “fine” and sent us on our merry way. Did you think it was too easy? Do you wish they’d use more scrutiny? I don’t, but the reason I don’t is because I am fully confident that what we’re doing is appropriate and acceptable. My philosophy from the beginning has been “Let’s take this old house, and bring it into this century.” We’re not just building it for us, but for whomever comes along later. We’re bringing it to current day living standards so that it will stay there. I love the house so much, and I really don’t want to change it. I drive by right now and shield my eyes—it’s painful to look because, in this messy construction phase, it looks like the house is being compromised. But when we’re done I know it will be right. Do you think it’s fair that other people in the neighborhood have to abide by a separate set of design rules – that some residents had no hand in determining – that govern what they can do on their private property? It’s unrealistic to think that all people are going to value history. So I can understand that it makes people mad, that you can’t do certain things. You can tell people, if you don’t like an old house, don’t buy it. But they want to walk to Park Avenue, and there’s an old house on that lot, and it’s for sale. But I feel that someone has to stand up and say “we’ve got to keep these things if we want them to be around.” Yes, I can see why that irritates people. But on the other hand, these are not big lots. They’re not acre lots. We are living in close proximity to our neighbors, so I feel more strongly about not allowing someone to build a two-story structure that’s smack dab up against someone else’s property line looking down into their yard. That’s what makes me mad. Let’s be considerate of our neighbors. How would you characterize Winter Park’s sense of place? I feel, honestly, like we’re holding on for dear life, trying to keep something of the soul and history of Winter Park alive. Winter Park’s heritage is what makes this place feel real to me, in contrast to so much of Central Florida. It’s the land around us, the people who were here before us. They’re the ones whose good stewardship made it such a special place. We’ve been given a gift—at the very least, we just have to try to not mess it up.